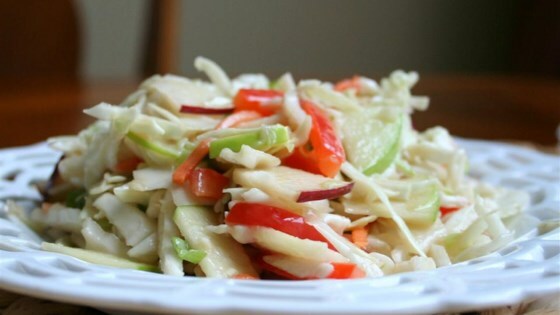 "This is our favorite cole slaw recipe, a yummy combo of fruit and veggies in a sweet dressing." See how to make a fresh, wonderfully crispy, crunchy coleslaw. This was just okay, I did find it a bit on the sweet side and also I needed to double the ingredients for the dressing. Awesome recipe!!! I omitted the onions (as done by a previous reviewer) and added another carrot in their place. The whole family loved it - thanks! !